St. Ann Parish was established on June 11, 1966 by Lawrence Cardinal Shehan to serve “Roman Catholics living north of the Western Maryland railway tracks running adjacent to Prospect and Manila Avenues and north of the Pennsylvania tracks leading to Harrisburg” and in Maugansville. Prior to St. Ann’s being established as a parish, Catholics of northeast Hagerstown and Washington County were served by St. Mary’s Parish. They gathered for Mass at St. Maria Goretti High School after its construction in 1955 under the leadership of the late Msgr. J. Francis Leary. The group worshiped in the “gymnatorium” after its completion in 1965 under the direction of Msgr. Daniel M. McGrath. The late Fr. Paul Dolan, our first pastor (1966-74) and the late Fr. Kloman Riggie, the first associate pastor (1967-73), led approximately 500 families that composed St. Ann at its beginning. Today the parish has over 1,200 families. Members live within and outside its boundaries, including southern Pennsylvania and the eastern panhandle of West Virginia. Impetus for building St. Ann Church came from brothers John and Thomas Pangborn of Hagerstown, who together donated $373,000 of its total cost of $826,000. 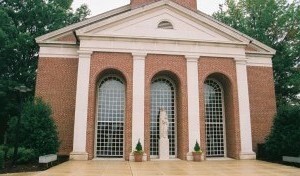 The design was largely determined by Cardinal Shenhan and the architects, Gaudreau and Gaudreau of Baltimore, taking advantage of the liturgical reforms of the Second Vatican Council. EMERGENCY CLOSINGS: In the event of inclement weather or other emergencies, please call the Parish Office (301-733-0410) for a recorded cancellation message or the St Ann Facebook page at www.facebook.com/stannchurchhagerstown. On Sunday, if Faith Formation is cancelled (a decision will be made by 8 am), all other activities held at the Church will be cancelled. During the week, if school is cancelled, there will be no 8 am Mass and all activities at the Church will be cancelled. If school is delayed, there will be no Mass but activities at the Church will still be held, weather pending. Check with the parish office to confirm your event.